Serious About Developing a Robust Online Presence for your Company? A strong web presence is one of the most important keys to success for communicating your brand, showcasing your products and services and for reaching both prospective and existing customers. At LKN Media we build informative, attractive and fast-loading websites that are search-engine optimized and user-friendly. Whether you?re looking for simplicity and elegance, or everything including the kitchen sink, we’ve got the technology and talent to create your most important business tool. We develop and host 100% custom websites , using today’s technologies like CMS (WordPress is our favorite!) – designed to boost your business and bring attention to your brand rather than blend in. Take a look at some of our website design work by viewing our portfolio! Contact us for a free website consultation! 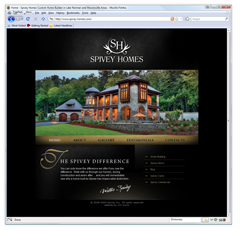 A professionally designed website can help you increase sales and expose your brand to the world!